Continuing our month of learning How to Write Business Proposals like a Rockstar, we talked to Emma Jaques, author of Bid Management (Business Success), which teaches the layman (or woman) to think like a professional bid manager. She tells us about who should be in charge of your bid process, building relationships with clients, and how the London Olympics can help you turn your next proposal into a gold medal winner! Emma is so eager to help you write awesome proposals, she wanted to make sure you have her LinkedIn profile in order to connect and ask her any further questions. Plus, if you comment on this or any other blog post, you could win her awesome book, which is this week’s Comment&Win Giveaway! Jennifer Riggins: You have a best-selling guide that helps normal folks look like professional bid writers. What does one look like? Emma Jaques: Well, not many people who end up as bid managers start off with that end in mind. Most — including me — find themselves in the role when their company needs someone to “have a go” at a tender opportunity that’s just arrived. I wrote Bid Management so that anyone finding themselves in this scenario would have practical, useful, and manageable advice about what on earth to do in this situation. And I know it works — I’ve received letters from people who’ve won their first bid by following the steps in the book. I guess that makes them a professional bid manager by that stage! Jennifer: Your book covers the management of the bid process. Who should be doing this? 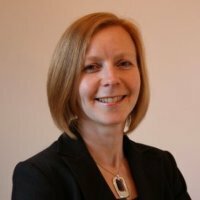 Emma: A really effective bid manager needs a range of skills and attributes. These include, but are definitely not limited to, an eye for detail but any ability to see the big picture; the ability to influence; good writing and editing skills; excellent time management; endless patience and boundless enthusiasm. In reality, anyone who has these can become a successful bid manager. Completing a bid successfully is part art, part science. And although there is a lot of administration, it’s never just a form-filling exercise — it’s a competition (and a really tough one at that). So, only those up for giving it absolutely everything should be doing this work. Jennifer: Can you share with us one of your secrets of competing against other bidders? Emma: It’s no secret, really. You need to know your customer, know yourself, know your competition. Only when you’ve got this level of insight can you devise a proposition that will win. You can’t simply “put your best foot forward” and hope it will be good enough. You’ve got to understand how your bid differs from others’, and why, therefore, it should be chosen. And then you’ve got to convince the buyer of that. That’s all there is to it! Jennifer: What do the London Olympics 2012 have to do with everyday business proposals? Emma: I had the good fortune to interview David Magliano, one of the directors of the London 2012 bid in the course of writing Bid Management. He was adamant that there were many parallels to be drawn and lessons learnt by other bid managers from the process of bidding for the Games. From the decision to bid to preparing for the final presentation — and everything in between — he had lost of sage advice, which is captured in the book. Jennifer: What’s the best way to find new customers? Emma: If only there were a simple answer to that one! Central and local government opportunities are advertised and therefore relatively easy to find — but then, as a result, usually attract high numbers of interested bidders. For business to business opportunities, you need to work hard to understand the potential customer and build a relationship — often well in advance of them having an kind of opportunity to put out to tender. In reality, in any tendering scenario, it’s all about relationships and building trust and credibility over time. Jennifer: What is the most important part of a business proposal? Emma: Showing that you understand the customer’s vision and challenges, and how you’re going to help them to over-achieve their stated outcomes. Jennifer: What is the least important part of a business proposal? Emma: Your company bragging about how good it is! Jennifer: What is one question to ask a client before sending them the bid proposal? Emma: If only one question would cover it! In reality, there could be a great many. The trick is to ask the right questions to allow you to understand what’s driving their tender process, and how you can devise the solution that addresses all their issues — in a way that delivers better value than your competitors. Jennifer: Are there any other questions I should be asking you? Emma: Almost definitely…I could write another book! …In fact, I have! 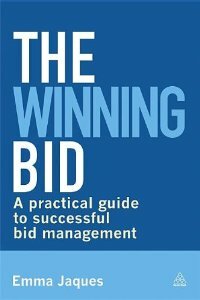 The Winning Bid: A Practical Guide to a Successful Bid, also published by Kogan Page, is out on 3rd May 2013!! This book is aimed at the more advanced bid manager, whilst Bid Management is aimed at bid novices. If readers have more questions, they might be better off grabbing themselves a copy of the book most relevant to them! Now, we’ve asked our questions. Do YOU have any questions for Emma? Ask the expert!